Instructions: Launch the "boing!" demo in the "animations" folder of the Workbench Demos disk and pull down the Workbench screen to reveal the demo. Use the left mouse button to increase the speed of the ball and the right mouse button to slow it down. Info: According to the legend, the Boing Ball demo was written late one night at the Winter CES show in January 1984 by RJ Mical and Dale Luck. At the time it was an amazing achievement that surpassed all current systems of the time. Because the bouncing ball animation was so fast and smooth, attendees did not believe the Amiga prototype was really doing the rendering. Suspecting a trick, they began looking around the booth for a hidden computer or VCR. 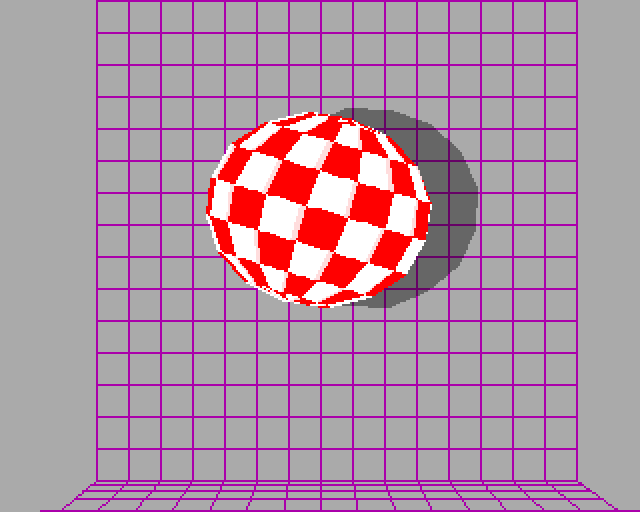 The 1984 Boing Ball demo was one of the very first demos shown on the Amiga. 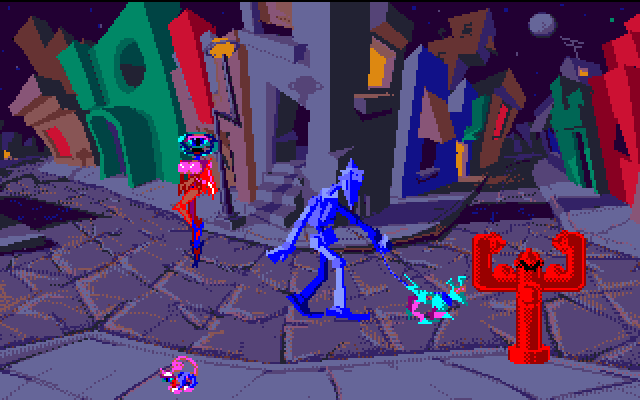 It was specifically designed to take advantage of the Amiga's custom graphics, achieving a level of speed and smoothness not previously seen on an affordable computer. The demo was operating in it's own screen, allowing the higher resolution Amiga Workbench screen to be dragged down to make the Boing Ball visible from behind, bouncing up above the Workbench while the Workbench remained fully active. Since the Boing Ball used almost no CPU time (only to calculate the bounce angles – animation was handled by playfield vertical and horizontal scrolling tricks, the rotation animation was done with color cycling in the graphics chip, and of course the sound chip handled the sound), this made a particularly impressive demonstration of multitasking at the time.